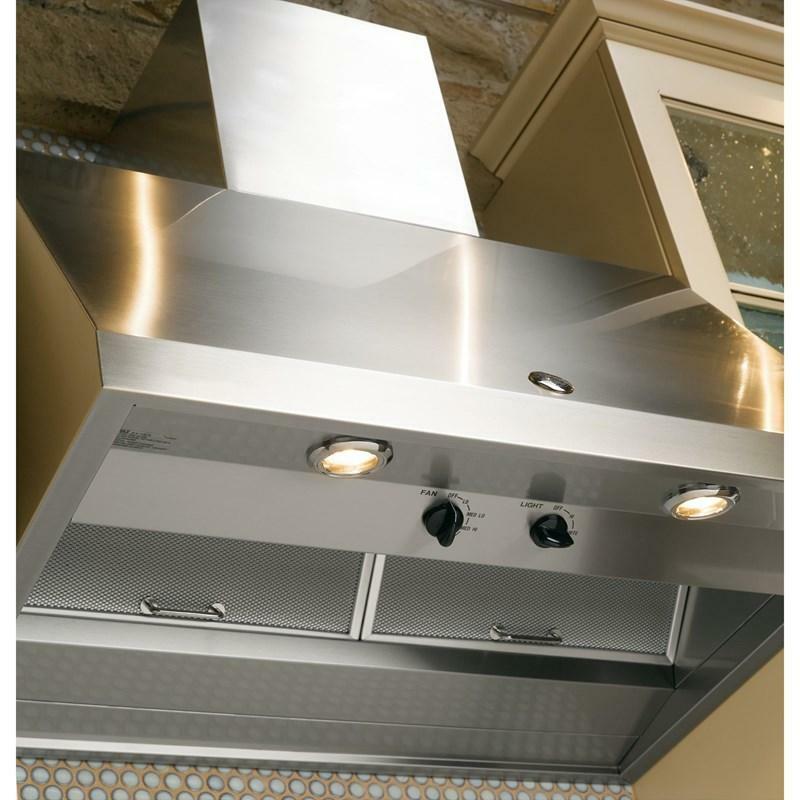 This GE Cafe stainless steel 30-inch Designer hood with the powerful ventilation of a 4-speed 600 CFM fan will keep your kitchen free of smoke, odors and fumes, while halogen lights illuminate the cooktop. 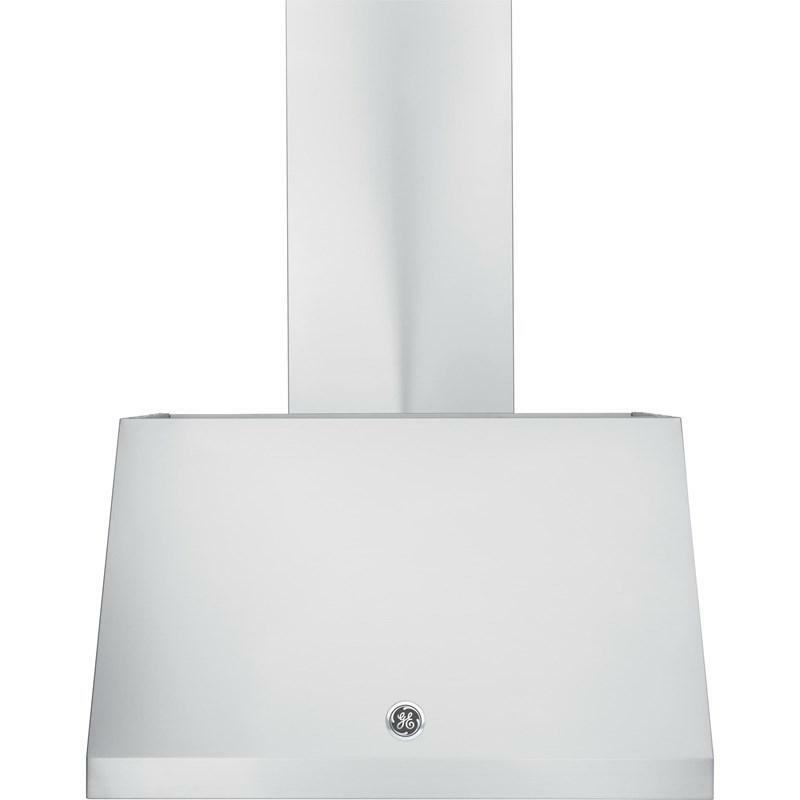 Thanks to hidden controls and an optional chimney kit, this hood provides the perfect combination of features and flexibility. 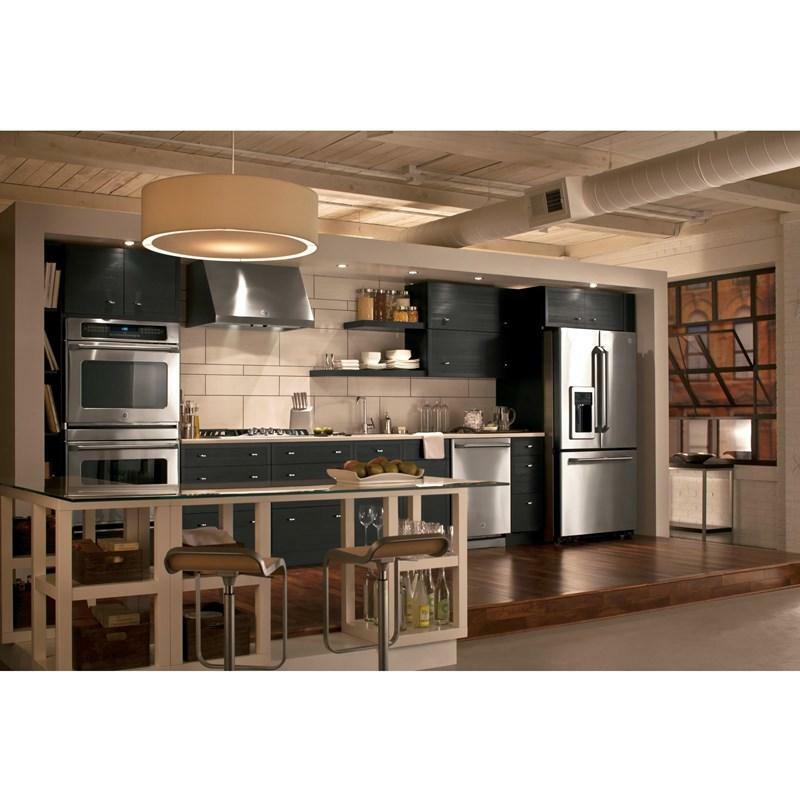 Additional Information 4-Speed Fan Control; Dual Halogen Lighting (Off/High/Night); Cooktop Light with Night Light Setting; Dishwasher Safe Filter Cleaning; Vertical exhaust; CFM/ Sones Rating : 590/ 7.5 (High Speed)160/ 0.4 (Working Speed). 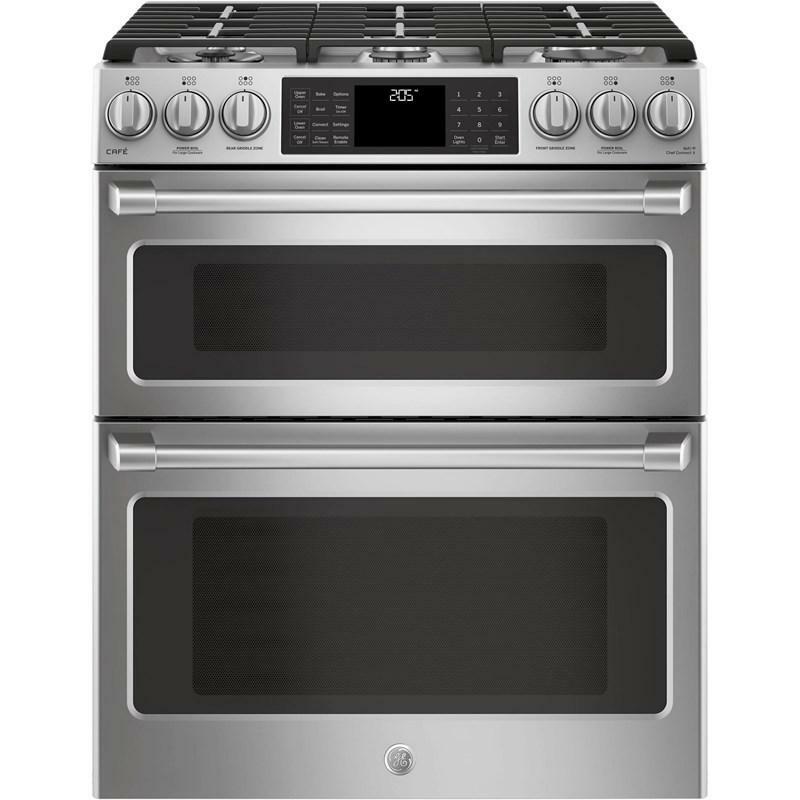 GE Café 30" slide-in dual fuel double oven range featuring PreciseAir™ convection, cast-iron porcelainized cooktop grates and an electronic ignition system with auto reignition. Capacity (cu. ft.): • Total: 6.7 cu. 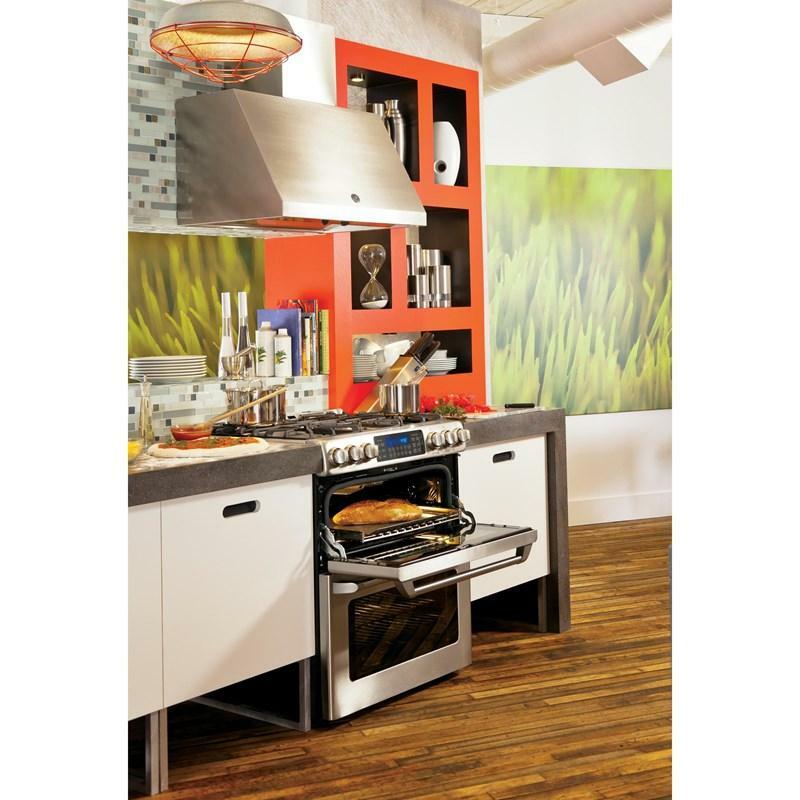 ft.
• Lower Oven: 4.3 cu. ft.
• Upper Oven: 2.4 cu. 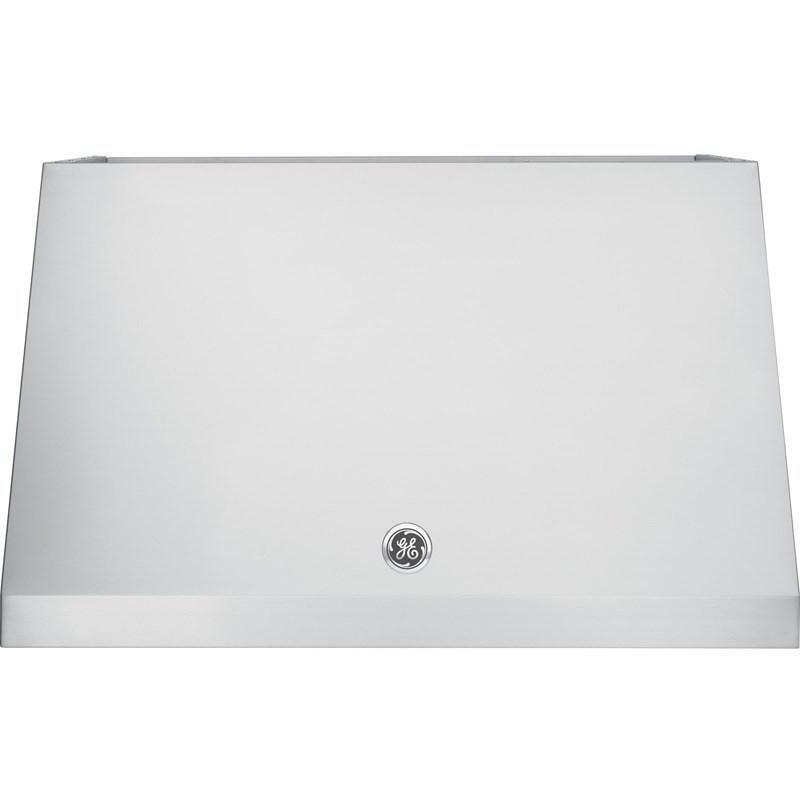 ft.
GE CAFE™ Series 36" stainless steel gas rangetop. 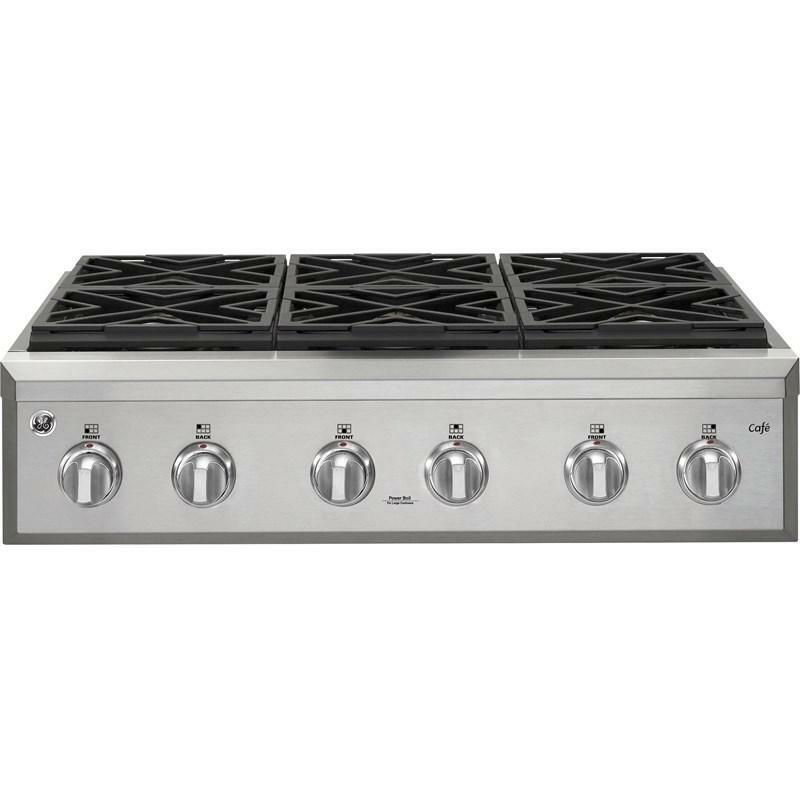 This rangetop features 6 sealed dual flame stacked burners, an electronic ignition and reversible burner grates.